Conservationists have recorded the first ever video of the African golden cat, the continent’s least-studied wild cat and one of the planet’s most elusive. In the footage, captured in Kibale national park in south Uganda, the cat stalks and rushes a group of red colobus monkeys before appearing to beat a retreat. 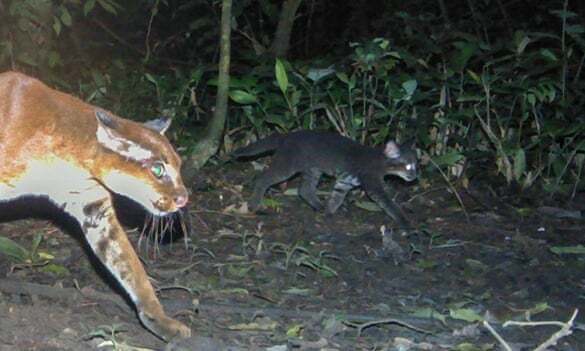 The camera trap film follows the recent publication of the first photographs of African golden cat kittens, which suggested that mothers of the two colourings of the species – a reddish brown and grey – can produce kittens of both colours. 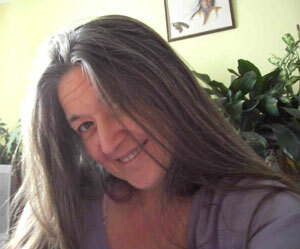 I am feeling a bit more human today. Thank you to everyone for your messages of support, and especially to Rob for his phone call last night. I really appreciate it my friend. New video footage of footage of Bigfoot From Lettuce Lake Park Florida. Three videos appear this week of a Bigfoot in Brooklyn, a Skunk Ape in Florida and a Yeti in Boston. Nebraska isn't exactly known for its thriving bigfoot population. According to the BFRO website, there has only been 14 reports filed for the state. The Falcon Project, using a blimp to track and find Bigfoot, announced that Bigfoot expert Jeff Meldrum joined the team as scientific adviser. 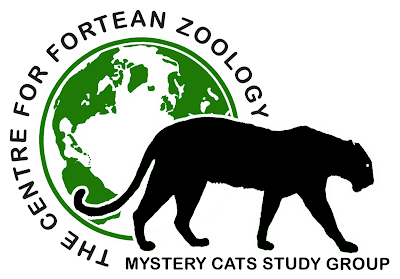 NEWSLINK: Are big cat claims exaggerated? ON THIS DAY IN 1728 - John Gay's The Beggar's Opera was first performed at Lincoln's Inn Fields Theatre, London.